Clean your fridge well with a sponge and warm water. Don't use spray on cleaners as these may leave a residue. Allow to dry completely. 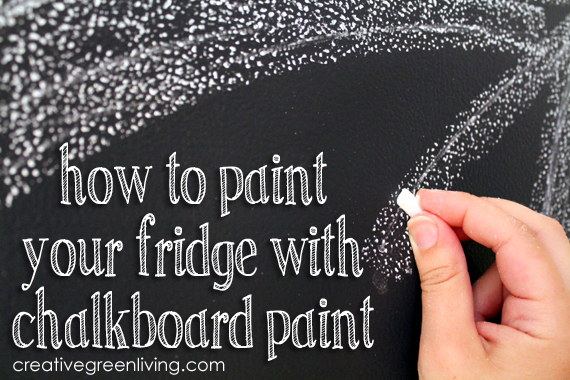 Apply painters tape from chalkboard kit to the edges of the fridge and any nearby hardware. 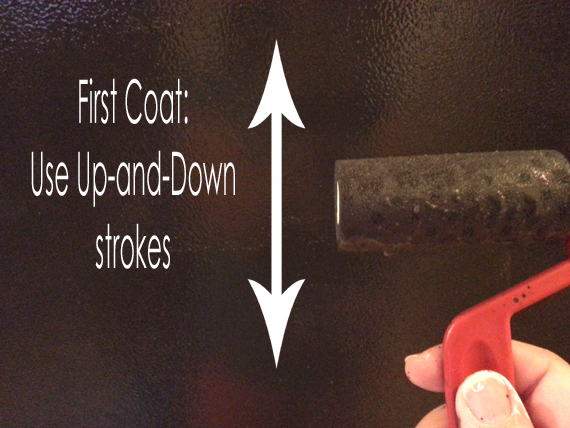 Tape down a piece of newspaper at the base of your fridge to protect the floor. 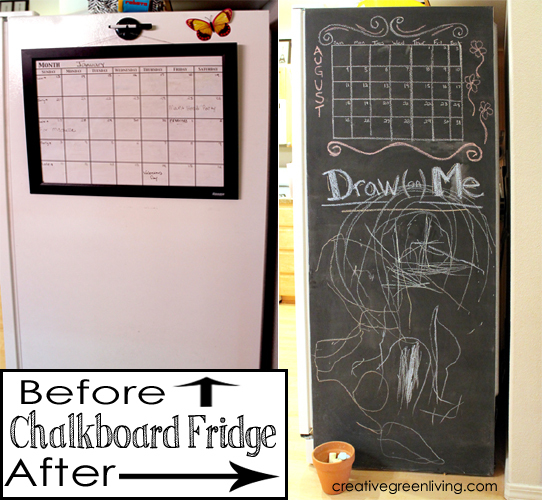 Use a paint roller to apply primer to the side of your fridge you would like the chalkboard to appear on. Allow to dry completely. 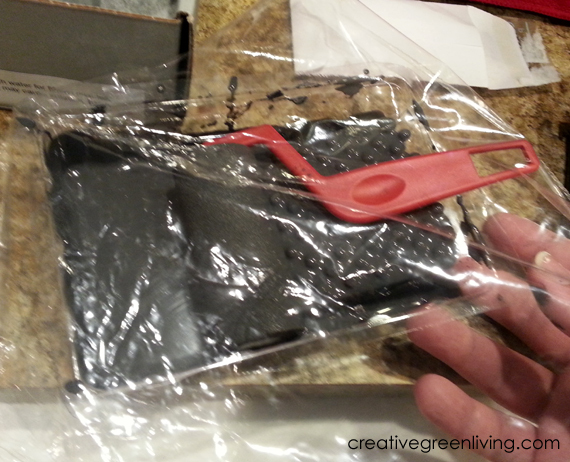 Squeeze or shake the paint pouch to mix the contents well. 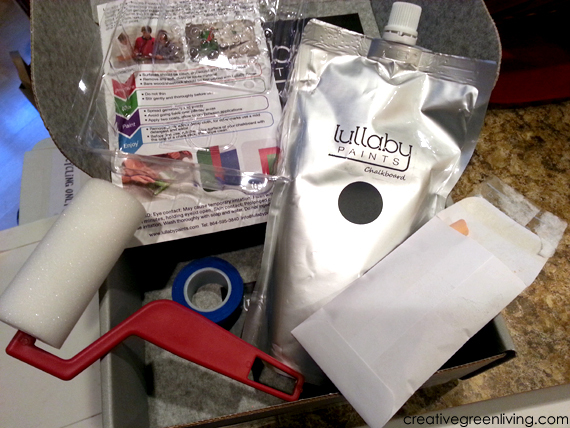 I love the pouch the paint comes in because not only is is easy (and kind of fun!) to mix the paint but any leftovers aren't going to get dried out like they will in a big can with lots of air room. Squeeze some paint into the tray included in the kit and dip the roller, rolling it on the bumpy ramp of the tray to coat the roller evenly. 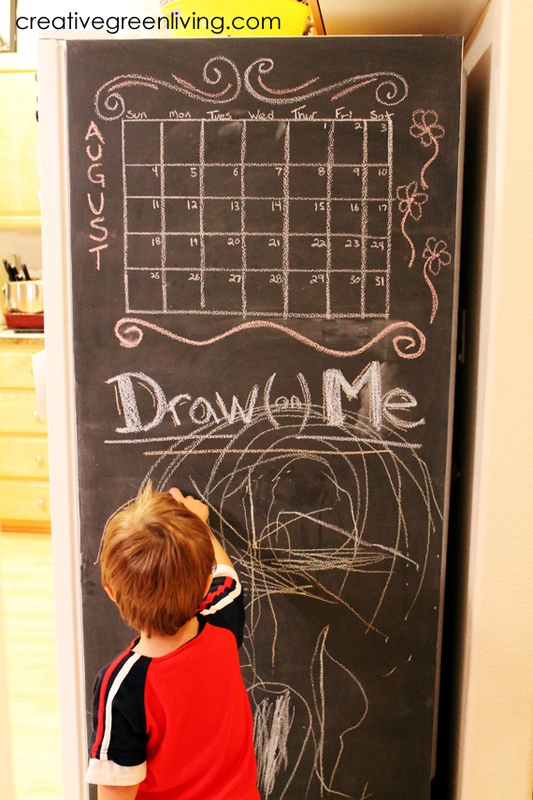 Apply chalkboard paint to your fridge using up and down strokes. Allow to dry at least 6 hours. While the paint is drying on the fridge, store your whole paint tray and roller in a zip top plastic bag and pop it in the fridge. This will keep the paint from drying out while you wait for the fridge to dry and save you the extra step of cleaning everything in between coats. After 6 hours, apply a seconds coat. This time, apply paint in horizontal strokes. Allow to dry at least 6 hours before re-evaluating coverage (store paint roller and tray in zip top bag in fridge again while waiting). If needed, apply a third coat using vertical strokes again. Remove painters tape. Allow paint to dry at least 6 hours or longer before moving on to step 4. 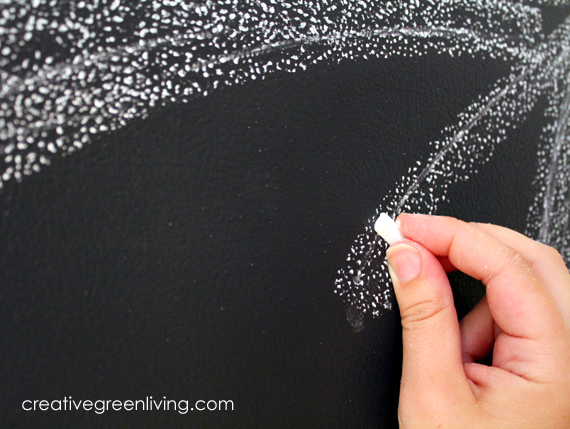 Once the paint is completely dry, prime the surface by rubbing the side of a piece of chalk all over the surface of the chalkboard. Use your soft cloth or old towel to rub the chalk into the paint and remove any excess. Since you are priming such a large surface, you may need to shake your cloth out part way through. Continue rubbing until most of the chalk is removed from the surface. Of course the fun part is drawing on your new chalkboard. 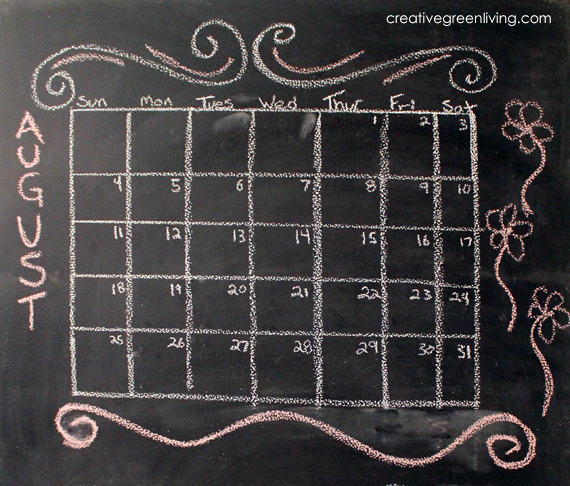 I drew a simple calendar on the top third and left the bottom for kiddo creativity. You can buy a Lullaby Paints Chalkboard Paint Kit on Amazon! It includes everything you need - and I had leftovers after painting my fridge. You could even tackle a Kids Chalkboard Table next! Disclosure: I was provided with free product and compensation for creating a project using Lullaby Paints non-toxic chalkboard paint kit. Project execution, thoughts, opinions, dislike of VOCs and love of Lullaby Paints are my own. This stuff is genuinely awesome - I wouldn't say it if it weren't true! See my full product review policy here. Love your fridge! I so wanna WIN! 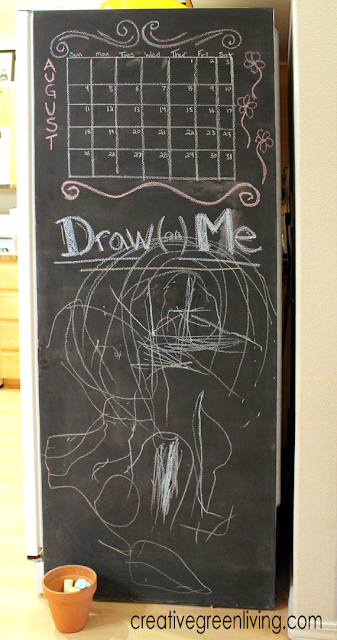 I was just doing research on chalk board painting my fridge. Was pleasantly surprised when I got to the bottom of the post to see there was a giveaway... and it was still LIVE! Yay. Thanks for the review! You and Lullaby make it look easy and fun! I would love to paint a spot in our rec room with this awesome paint! What a fun project (and a great idea)! I love it! Looks great! We plan on doing a chalkboard wall with their paint and are debating between Charred and Blackest Black. What color did you use? I used blackest black. It gets a little lighter after it has chalk all over it so the actual shade it appears when is use is halfway between the two colors. Hope that helps! Thanks! Our chalkboard wall will be in a basement so I'm not sure if black will be too dark for down there or if Charred will be too light for white chalk to show. Decisions decisions... Thanks for the info! Yes! Any painted appliance would use the same technique. 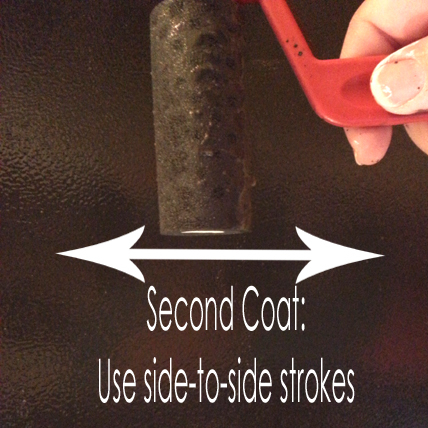 If you have a stainless steel appliance, I would use a coat of primer before you do the chalkboard paint.